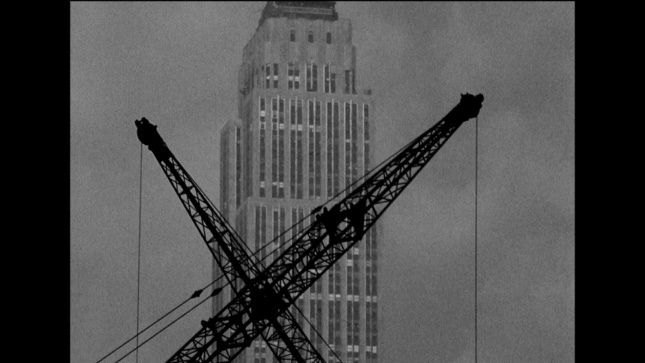 The 56th New York Film Festival, running from September 28–October 14, features several films where architecture plays a starring role. The architecture cameos are numerous. Orson Welles’s until-now-unfinished film The Other Side of the Wind features a hillside mansion in Carefree, Arizona, that is down the street from the Paolo Soleri–designed house used in Antonioni’s Zabriskie Point (1970). The laboratory in Diamantino uses multiple locations: the 2011 Alcantara Wastewater Treatment Plant in Lisbon by Aires Mateus, Frederico Valsassina, and João Nunes, the 1926 Lisbon Greenhouse by Raul Carapinha, and the 18th-century Palacio do Correio Mor designed António Canevari. The 2007 Museum of Civilisations from Europe and the Mediterranean by Rudy Ricciotti appears in Transit. 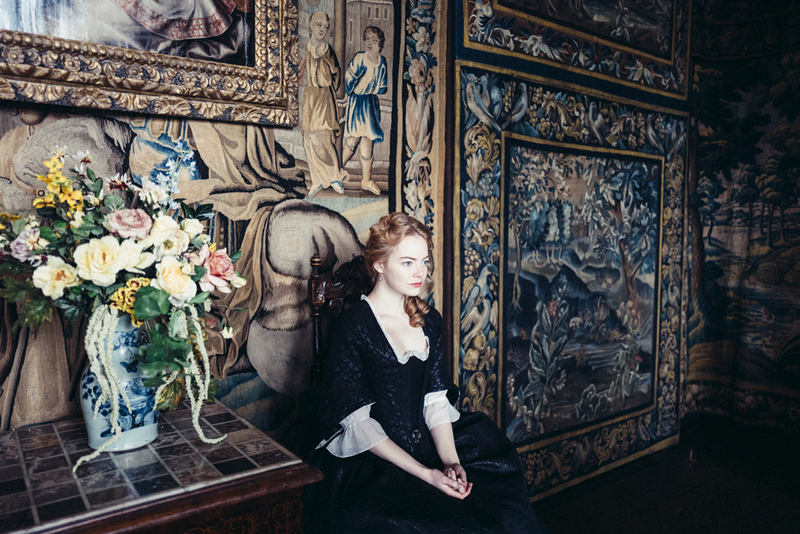 The commissioning of Blenheim Palace by Queen Anne for Sarah Churchill is a plot point in The Favourite. A lonely one-story bank building on the open prairie features in an episode of the Coen Brothers’ The Ballad of Buster Scruggs. One character burns down and another monitors greenhouses in Burning. Gropius Memory Palace by Ben Thorp Brown uses the architect’s 1911 Fagus Factory as an exploration of psychoanalytic space and means of recollection. Shot in the Gropius building and using contemporary photographs by Albert Renger-Patzsch featuring the building’s glass curtain wall and yellow brick structure, the film explores the building through exercises including breathing and words from a hypnotherapist. In From Its Mouth Came a River of High-End Residential Appliances viewers experience a drone’s-eye view flying through super-skyscraper apartment buildings in Hong Kong that have cutouts in their centers for mythological dragons to pass through that have been formulated by feng shui practitioners. Every time the camera clears an aperture, a bell rings. Musical instrument maker Rick Kelly, the proprietor of Carmine Street Guitars, uses wood salvaged, purchased, or dumpster-dived from New York City buildings. His preferred materials give a particular resonance to the guitars. McSorley’s Old Ale House, Chumley’s speakeasy at 86 Bedford Street, Trinity Church, and the Serbian Orthodox Cathedral are just some of the sources, which are labeled and often engraved on the guitars. Kelly says it’s using the “bones of old New York” while Lenny Kaye, Patti Smith’s guitarist, says strumming these instruments is “like playing a piece of New York.” As guitarists like Bill Frisell, Marc Ribot, Nels Cline (Wilco), Kirk Douglas (The Roots), Christine Bougie (Bahamas), Charlie Sexton (Bob Dylan), actress Eszter Balint, and filmmaker Jim Jarmusch visit to try out the guitars, Kelly’s apprentice photographs #guitarporn. 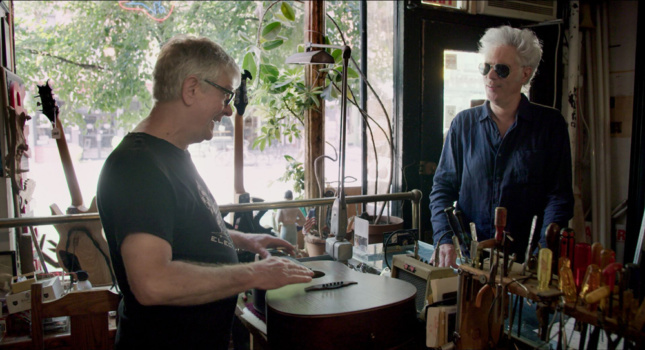 Kelly has been making guitars since the late 1970s, and in this West Village location since 1990 (it’s next door to where Jackson Pollock lived), but the threat of gentrification looms. A Colombian drug lord creates a fictional, extravagant mansion from the 1980s nighttime TV soap opera Dynasty in Labyrinth. 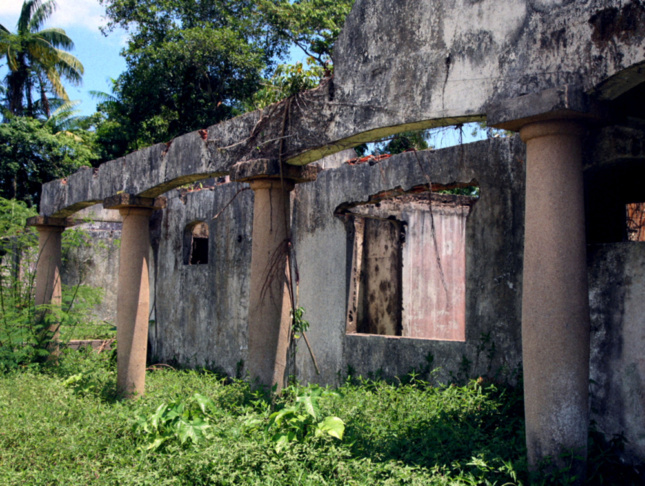 Although the house is now in ruins, the film intercuts the television program with images of a lavish Latin American lifestyle. Trees Down Here examines Cambridge University’s Cowan Court, a 2016 building by 6a Architects at Churchill College that uses oak and birch in contrast to the original Brutalist 1960s buildings by Richard Sheppard. 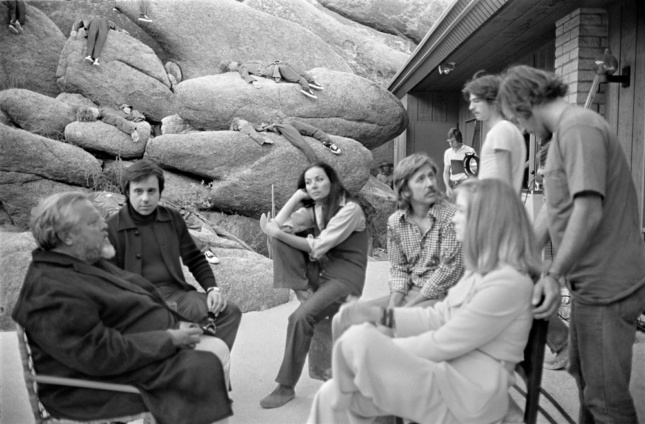 Plans, models, archival footage, owls, snakes, and swaying trees are set to the music of John Cage and a poem by John Ashbery. 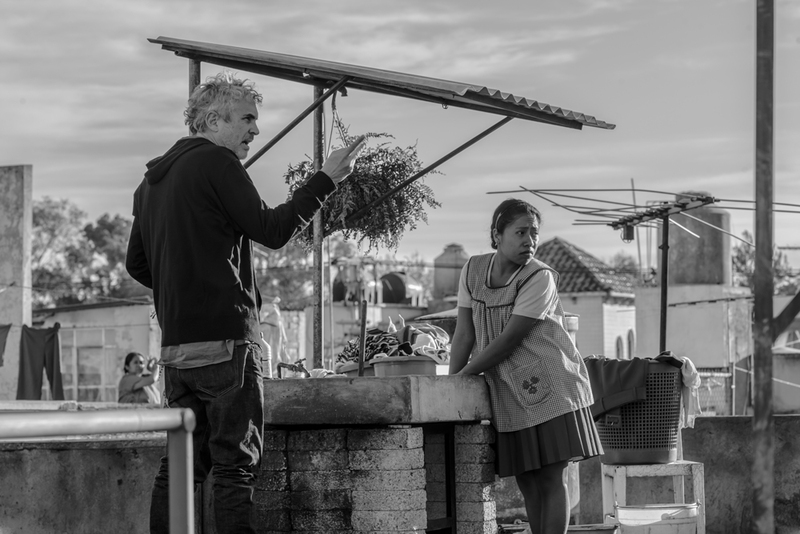 The film premiered at the Venice Architecture Biennale.